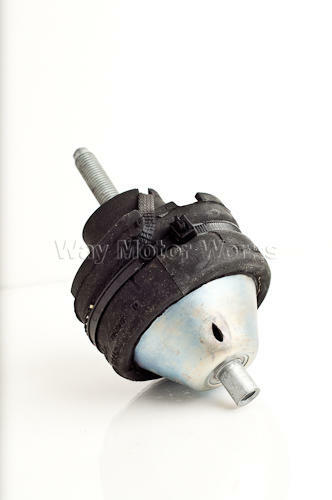 02-04 Passenger side Engine mount for R50 R53 MINI Cooper and MINI Cooper S. As these wear out they tend to get shorter. When this happens they put extra stress on the upper and lower motor mounts. 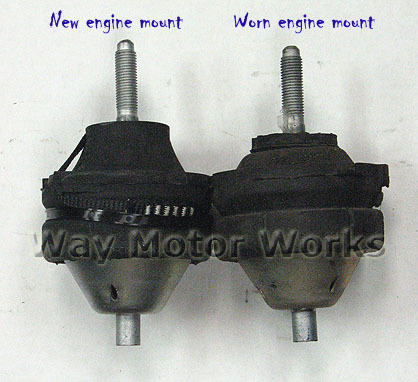 Replace it early otherwise you'll be buying all three and causing extra engine and clutch wear. As most people don't know this mount is also hydraulic filled, even though it just looks to be solid rubber. These do sometime leak so also check that. 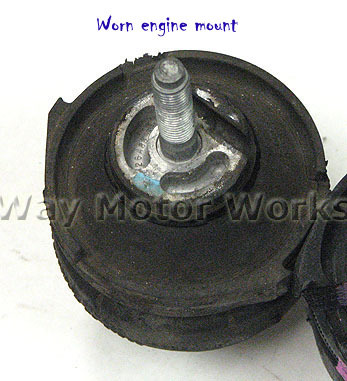 Also if you jack up your MINI's engine this mount may come apart into two pieces.